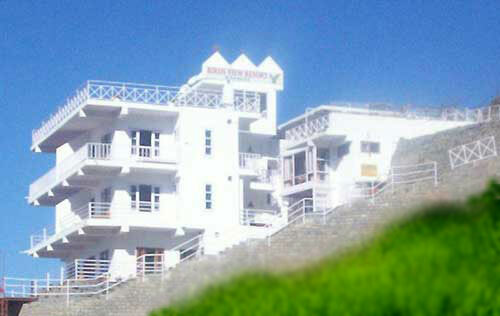 BIRDS VIEW RESORT,Birds View Resort,birds view resort kasauli,Kasauli Resort is a 3 star deluxe hotel in Kasauli, Himachal. Welcome to the Birds’ View Resort. Our Hotel offers the guests a choice of spacious and beautifully furnished Rooms and Family Cottages. A fusion of excellent comfort and outstanding services await you at Birds’ View Resort. Birds’ View is an ideal destination for the rejuvenation of one’s body and soul. It is a paradise for nature lovers, trekkers, honey-mooners and Bird Watchers.. The view offered from each room is not only spectacular but also unforgetable and panaromic. In fact from the reviews and the feed-back that we receive from our customers, categorically mention it as the best view from the Hotel, in all of Kasauli. The Barbecues and Bonfire parties are unforgettable. Birds View is an ideal setting to pen your thoughts or even produce a best – seller. It is an ideal inspiration for writers and artists. The Hotel has well furnished and spacious rooms & cottages with sit-out balconies. Intercom services & Doctor On Call. Your trip to Kasauli will be memorable experience. Kasauli is a charming hill station located at about 75 Km from Shimla and 50 Km from chandigarh. It’ s located at a height of about 1.828 metress above sea level and is very well connected by road with Shimla, Manali and Chandigarh. There is a huge TV tower in Kasauli, which has become a land- mark of this hill station. Kasauli offers a grand view of the Kalka valley. It’s surrounded by the grandeur of mountains covered with perpetual snow towards the south and the majestic meandering Sutlej River to the west. On a clear night, one can easily see the lights of Chandigarh from Kasauli. As a colonial hill station, Kasauli is rich with cultuure and history. Kasauli Club the century-old club,is a great place to meet locals and learn about the town’s past,about 4 Km from Kasauli, which is a good picnic spot, offering spectacular views. Another attraction in Kasauli is its Mall Road. There are two mall roads in Kasauli- the Upper mall, and the lower mall. The Christ Chruch is probably the most imposing and eye-catching monument of the famous school, The Lawrence School, Sanawar, near Kasauli. Deluxe Room: Rs.11000/- per couple. Deluxe Cottage: Rs.21800/- 04 adults. Private Cottage: Rs.26400/- 04 adults. Deluxe Room: Rs.10524/- per couple. Studio Cottage: Rs.16072/- per couple. Deluxe Cottage: Rs.20854/- per couple. Private Cottage: Rs.25256/- per couple. Deluxe Room: Rs.5500/- per couple. Studio Cottage: Rs.8400/- per couple. Deluxe Cottage: Rs.10900/- for 04 adults. Private Cottage: Rs.13200/- for 04 adults. Deluxe Room: Rs.5270/- per couple. Studio Cottage: Rs.8036/- per couple. Deluxe Cottage: Rs.10428/- per couple. Private Cottage: Rs.12628/- per couple.